The 2011 Tech Awards, an annual event honoring individuals, non-profit organizations and for-profit companies who are using technology to improve human conditions around the world, were held this October at the Santa Clara Convention Center. 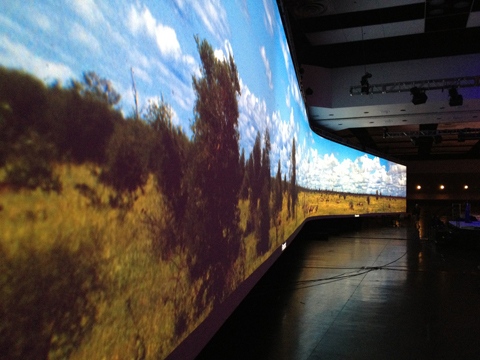 John Murray Productions, Inc. in conjunction with McCune AV was on hand once again to fabricate and install the massive 154' curved borderless screen. 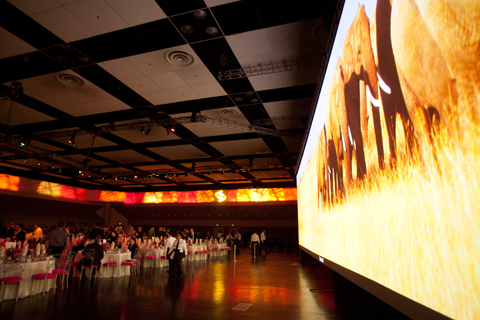 While re-purposing the giant screen we created for this event last year, we added a center curved section which allowed a gentle arc in the screen creating a seamless projection surface that practically spanned the entire length of the convention center's largest hall. The look was striking, and dramatic. Photos courtesy of Charlotte Fiorito.